Original post was published here. Are these the best travel quotes of all time? Feed your wanderlust with these inspirational travel quotes from famous travelers along with beautiful images you can share. Let the adventure begin! I’m slightly embarrassed to say that I love inspirational travel quotes. These memorable travel quotes accompanied by stunning photography have the ability to capture little moments of clarity that highlight truths about travel, adventure, and life. Great traveling quotes like these remind me that emotions I’ve felt while traveling the world for the past 9 years have been experienced by many others. We’re all beautifully connected with each other by a love for travel! Enjoy these travel quotes? Feel free to share the quote photographs on Pinterest or Instagram! Also, check out my favorite motivational adventure quotes. 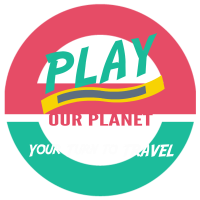 Copyright text 2015 by Play Our Planet.